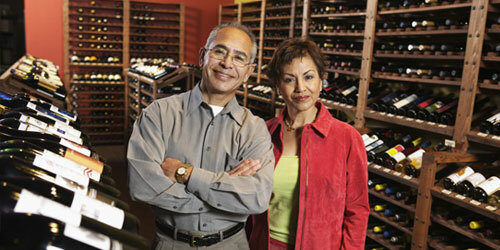 If you’re looking for liquor store financing you’re certainly in the right place. Here at MCAT we offer an alternative form of business financing known as a merchant cash advance. We offer merchant cash advances to business owners in lots of different niches and markets – and the fact is they’re well suited to business owners in the liquor store financing sector too. A merchant cash advance operates in a much different fashion to mainstream methods of financing like bank loans and overdrafts. In order to receive liquor store financing from us here at MCAT, all you need to do is fill out the short application form or call one of our operators. We’ll assess your application to see whether a merchant cash advance is something that we can offer for your business. If the answer is yes, we’ll then run through the process with you before going ahead. With a merchant cash advance the application process is really easy and quick – you’ll often find out whether we can help with business financing in just a matter of days – not a matter of weeks or months like you have to wait when applying for a bank loan. As soon as approval is given we’ll disburse a lump sum of money into your bank account. We'll charge a fee on top of that lump sum instead of interest – the great thing about a merchant cash advance is that you’ll never be charged interest on the financing – you’ll only ever repay the sum that’s agreed on upfront, and not a dollar more (unless penalties are incurred). Lots of business owners ask us what they can and can’t spend their liquor financing money on. In truth, it’s entirely up to you what the cash gets spent on. Obviously it’s a good idea to ensure that it’s spent in an area that’s going to benefit your business – perhaps on bringing in new lines of stock, or even employing a new member of staff or two. We trust your judgement when spending the cash advance, so we’ll leave it up to you. It’s fair to say that a lot of people have never even heard of a merchant cash advance when they first start to look at the liquor store financing options that are on the table. Fill out the application form on our website today, or call one of our operators to find out more!